Jennifer is a minister’s wife, mother, author, and a blogger who has an undying affection for refined sugar and red lipstick. 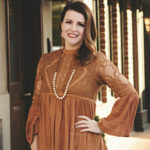 Her ministry to broken girls took on a different shape when in a place of leadership, she stopped hiding her brokenness and decided to be brave and see what God wanted to do with it. Trading the lie of “I have it all together” for messy leadership that is vulnerable, real, and life-changing. 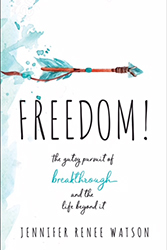 Jennifer is the author of Freedom! The Gutsy Pursuit of Breakthrough and The Life Beyond It (Feb 19, 2019). Blythe has walked me through the entire publishing process, I wouldn't be where I am today without her! I'm so thankful for her guidance and knowledge.